The Kitchen at Jurys Inn Bradford01274 848500work Restaurant - InternationalTotally committed to high quality food and wines at very affordable prices, you can thoroughly enjoy the relaxed atmosphere of our restaurant. Serving contemporary cuisine to impress the most discerning palate, our restaurant is dedicated to making your dining experience one you won't forget. Totally committed to high quality food and wines at very affordable prices, you can thoroughly enjoy the relaxed atmosphere of our restaurant. Serving contemporary cuisine to impress the most discerning palate, our restaurant is dedicated to making your dining experience one you won't forget. 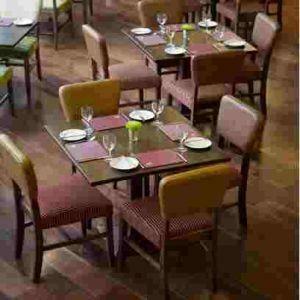 A La Carte and Table D'Hote Menu as well as an extensive Bar Menu. From Bradford Interchange Train and Bus Station. Exit the building and turn left on to Bridge Street. Cross over the road (Hall Ings) and walk towards City Hall. Turn left and walk infront of City Hall and diagonally across Centenary Square. You will pass a number of restaurants, bars and coffee shops on your right. Once you have passed these you will see the hotel in front of you on the opposite side of the road (we share a building complex with Provident Financial Group). The hotel entrance is on Thornton Road.